Let me counts the ways I love the morning -- said no one ever! This may come to a surprise, but I'm a morning person. Give me a cup of coffee, a delicious breakfast, and I'm good to go. Let's talk about coffee for a quick minute, I love it! There's nothing better than a jolt of caffeine to get you going. For the longest time I was a latte girl, but looking to save some money I started drinking coffee at home. In order to choke it down, I added more creamer than I should admit. My stomach wasn't pleased so I switched to almond milk and honey. It wasn't the same, but it was easier on my digestive system. 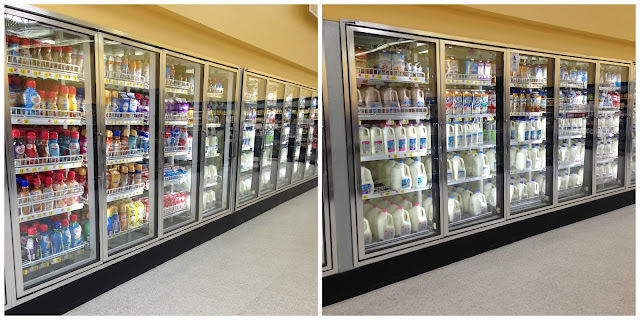 After trying various creamer alternatives I finally found one I loved, Silk® Almond Creamer! Silk® Hazelnut Almond Creamer brings nutty flavor and subtle sweetness, totally dairy and cholesterol-free! Shhhh.... this creamer isn't just for perking up coffee. I've been baking with it. Actually, I use it as a buttermilk or heavy cream replacement. 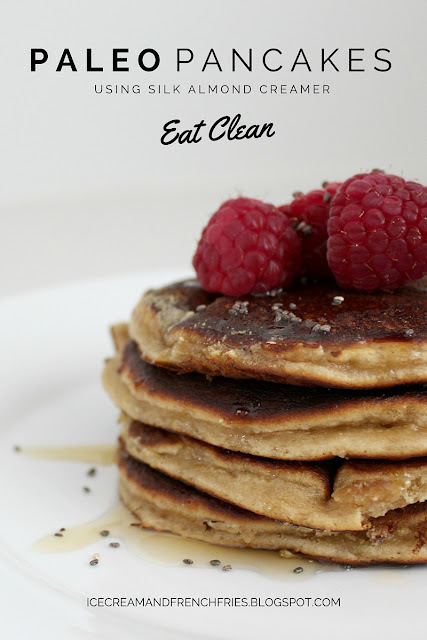 Most recently I used it to replace coconut milk in my favorite paleo pancakes! The hazelnut flavor added just a touch of sweetness making the pancakes prefect for breakfast or afternoon delight! Place all the ingredients in the order listed in a high-speed blender. I use my Vitamix. Top with honey, berries and chis seeds. P.S. Silk® Almond Creamer [Vanilla, Hazelnut and Carmel] is available at Walmart. 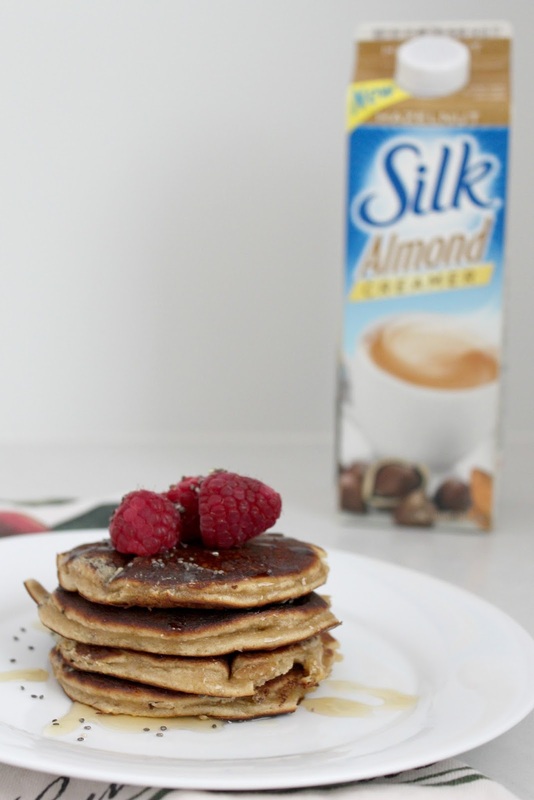 What would you make with Silk Almond Creamer? So good. Emerson loves them! These look delicious! 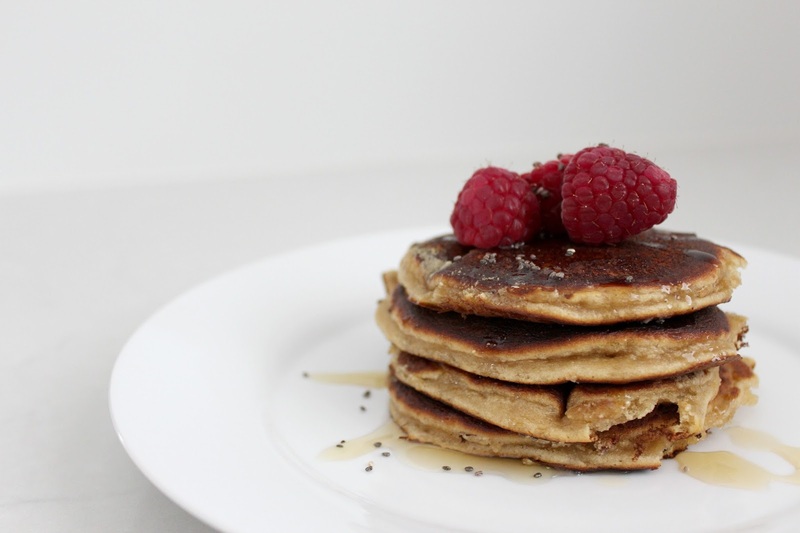 You can never have too many pancake recipes!! I need more recipes using coconut flour. My husband is a big SILK fan. Definitely saving this recipe for later. Thanks for sharing! I love using coconut flour! This sounds so delicious. I had NO idea they had Almond creamer. I don't know how I missed it in the grocery store, but I will definitely be on the hunt for it next time I go out! Yum! I'll have to make these soon! Those look so good and healthy! Thanks for the recipe. Low making protein pancakes! So good!